It’s the little things that make a classic complete. Porsche crests for the Porsche 356 and the early 911, of course, “Made in Germany”. An essential and much-loved detail of the Porsche 356 and the early Porsche 911 is now available again. 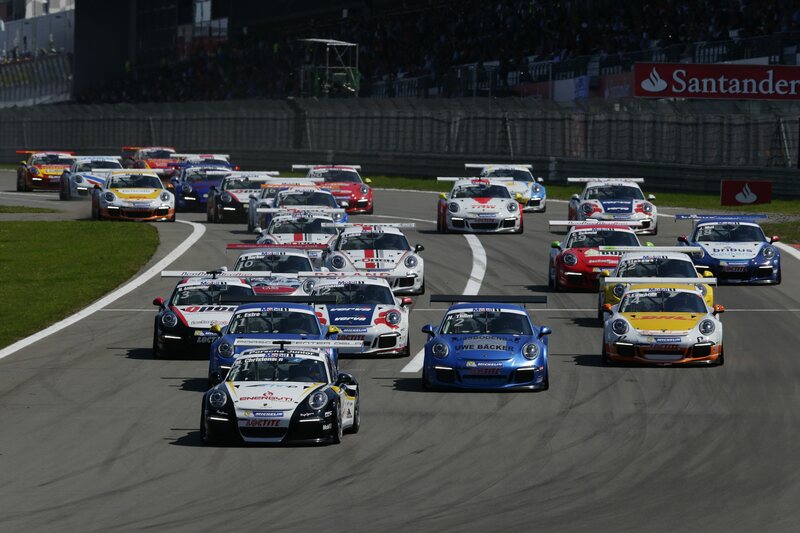 Following extensive research, the experts at Porsche Classic have reproduced the original Porsche crest. 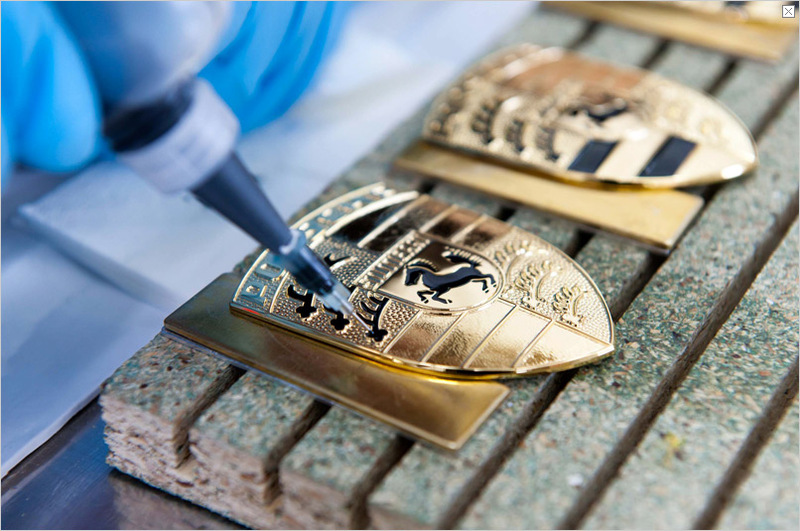 The relaunched crest is true to the colours and materials of the original and is, of course, “Made in Germany”. 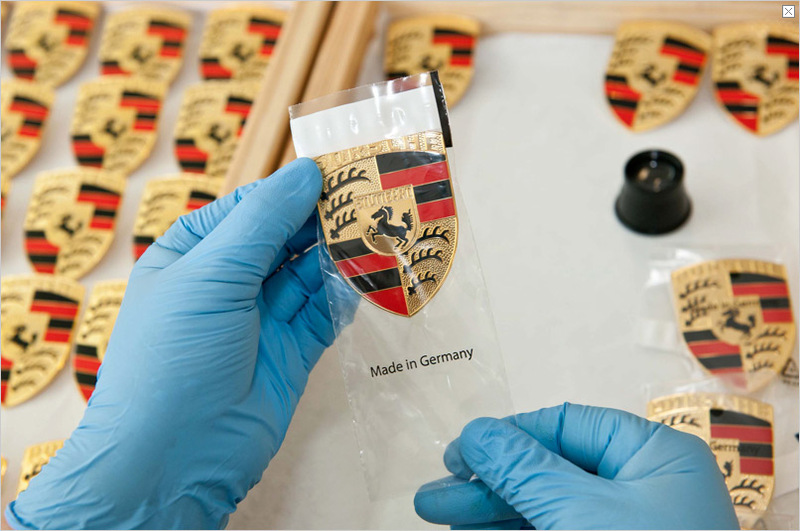 The new Porsche Crests are available for the front hood handle of all Porsche 356 (model year 1954 – 1965) and for the hood of the early 911 models (model year 1963 – 1973). 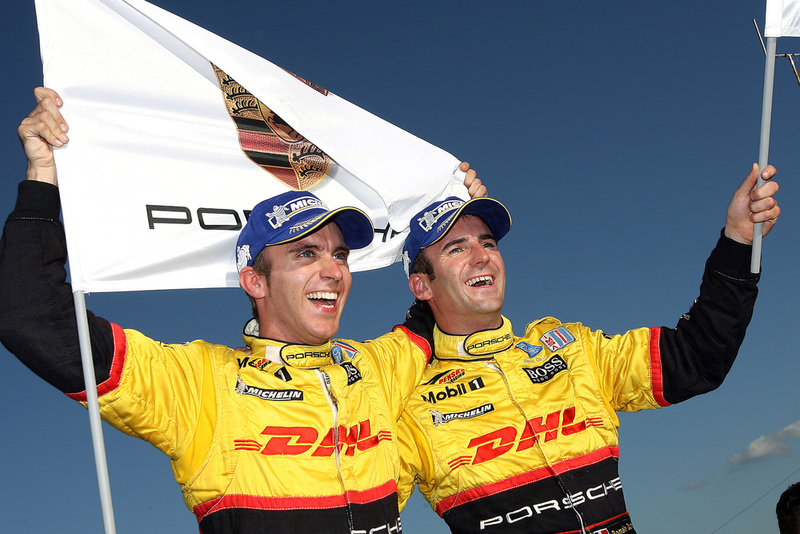 As of August 2012, you can order them via your local Porsche centre. 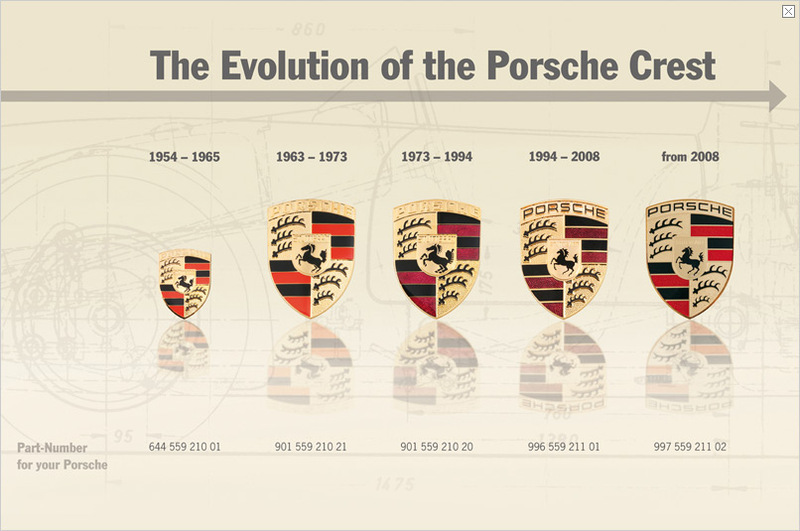 Still in the Classic product range are the 911 Porsche Crests for the model years 1974 – 1998. Such an unmistakeable and sought-after symbol has naturally had a very colourful and sometimes unusual history and been copied many times. 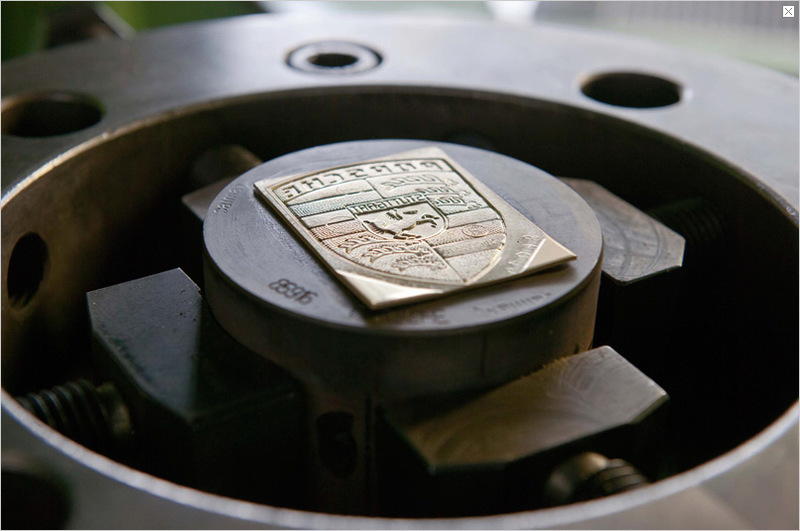 To eliminate all doubt, the experts at Porsche Classic delved deep into the history of the crest, which was first suggested as a quality seal for the Type 356 at a meeting between Ferry Porsche and US importer Max Hoffman back in 1952. In the same year, advertising manager Herrmann Lapper and designer Franz Xaver Reimspieß produced a preliminary design that is still used to this day with just a few minor differences in detail. Reimspieß, who is also said to have designed the Volkswagen logo in 1936, sketched a magnificent crest that symbolised the roots of the company as well as the dynamism and quality of its products. At the centre of the golden shield, the horse of the official coat of arms of Stuttgart is depicted along with the name of the city. The composition is surrounded by the red and black state colours and the stylised antlers from the crest of Württemberg-Hohenzollern. 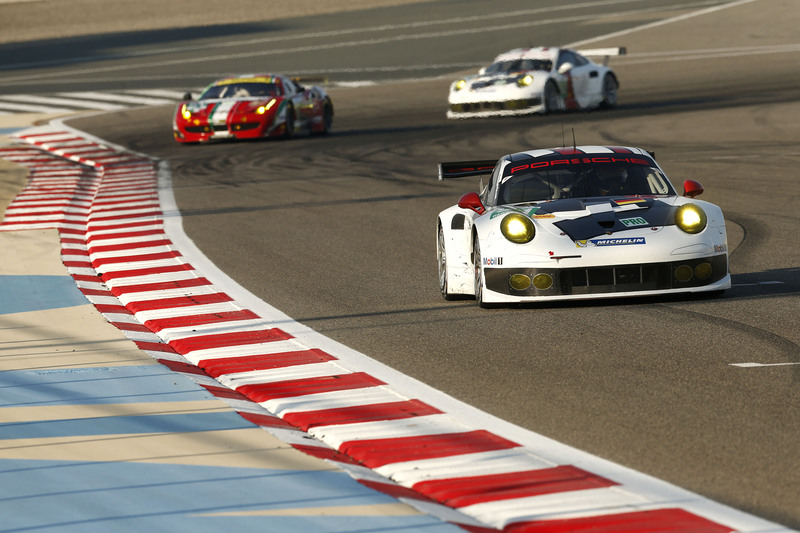 The all-encompassing Porsche logo acts as a protective “roof” over all the design elements. 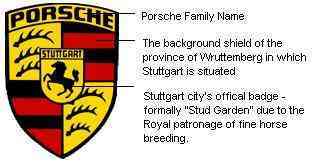 In contrast to the current crest, the Porsche logo on the original crest was only embossed and was not black. In addition, the red elements of the crest were actually more orange in colour to reflect the Württemberg-Hohenzollern state colours. The Classic experts charged with reproducing the crest went a lot further than merely ensuring that the colours were true to the original. 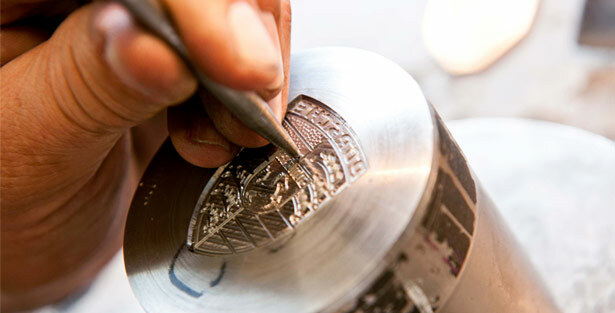 The crest is being produced using special tools based on original drawings. 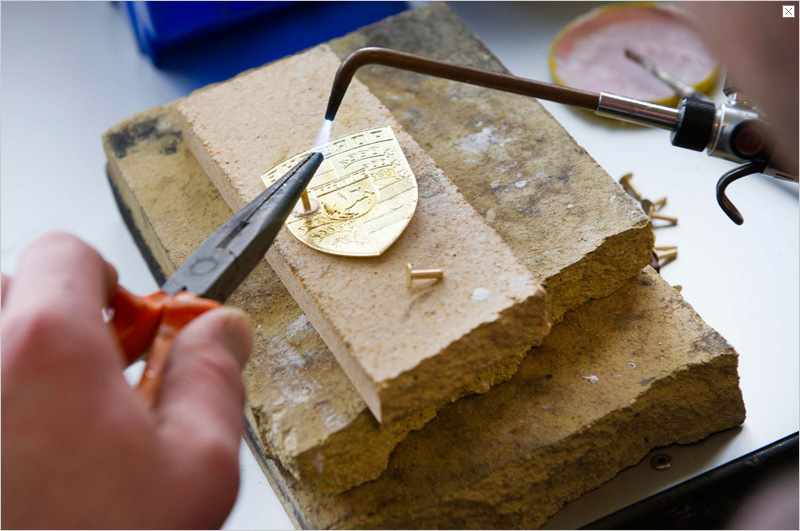 The silver and gold plating is being applied using the same technique as the original and the colour and enamelling are being meticulously applied by hand. The new “old” crest has also had to undergo the same quality tests as the original. This involved the simulation of a stone impact test using a ballistic firing range at the Research and Development Centre in Weissach. The crest also spent 240 hours in the salt spray chamber. The Porsche crest passed these challenging tests with flying colours, thus proving its credentials as a genuine quality product, 100 per cent made in Germany. This symbol, steeped in history, signals a continued long life for classic Porsche models. The design was created by Ferry Porsche (on the proverbial napkin sketch) at the request of Max Hoffman, and refined/finalized by Erwin Komeda. The emblem first appeared on the steering wheel hubs of Porsches in 1953. Weissach R&D – Picture of site – (l.-r.): Walter Uhl, Chairman of Works Council of Porsche Weissach, Thomas Fritsch, Mayor of Mönsheim, Ursula Kreutel, Mayor of Weissach, Matthias Müller, Chairman of the Board of Management of Porsche AG, Wolfgang Hatz, Board member in charge of Research and Development of Porsche AG and Uwe Hück, Chairman of the Group Works Council of Porsche AG. Stuttgart. With the symbolic first cut of the spade, Dr. Ing. 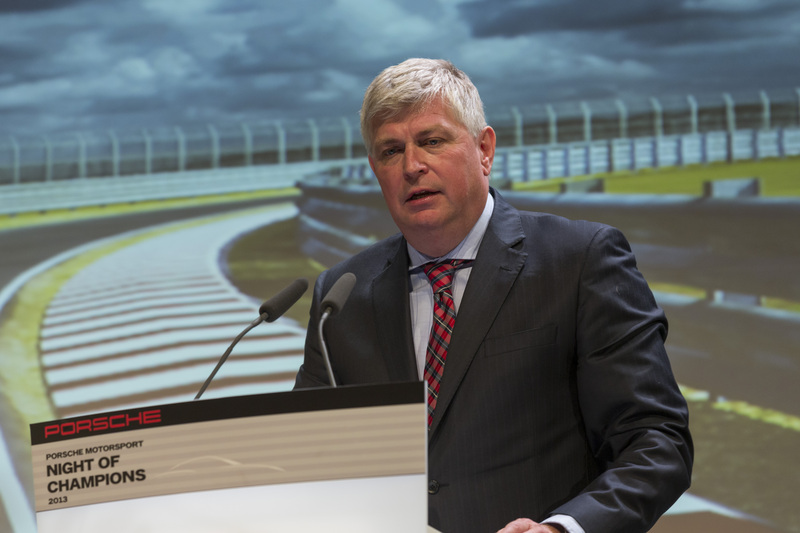 h.c. F. Porsche AG, Stuttgart, today heralded the start of the extension of its Research and Development Centre in Weissach (Baden-Württemberg). The site is being enlarged through the addition of a highly modern design studio, a high-tech wind tunnel and an electronics integration centre. 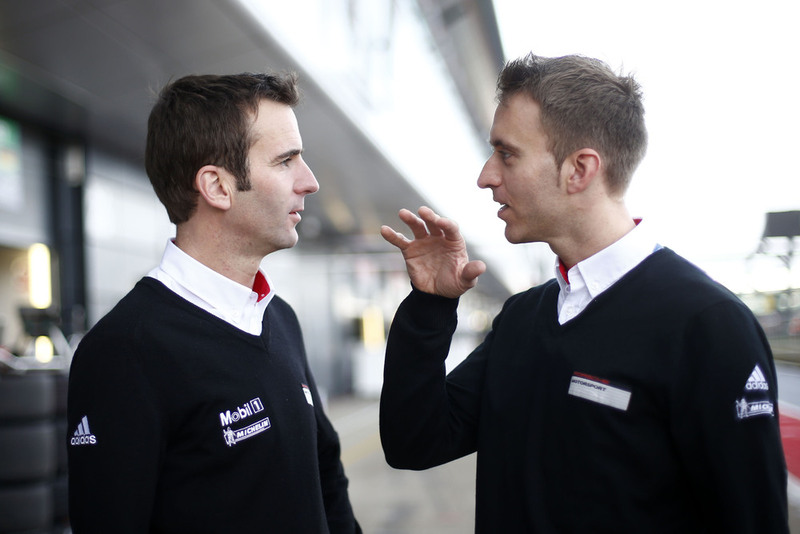 Porsche is investing around 150 million euro in this respect. 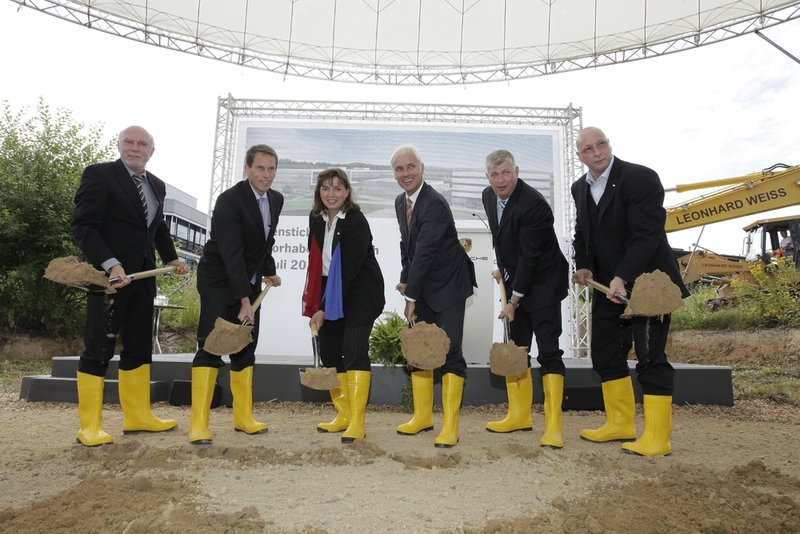 Matthias Müller, Chairman of the Board of Management, welcomed Ursula Kreutel, Mayor of Weissach, Thomas Fritsch, Mayor of Mönsheim, Roland Bernhard, Chief Executive of the Böblingen District, and Karl Röckinger, Chief Executive of the Enz District, at the groundbreaking ceremony. 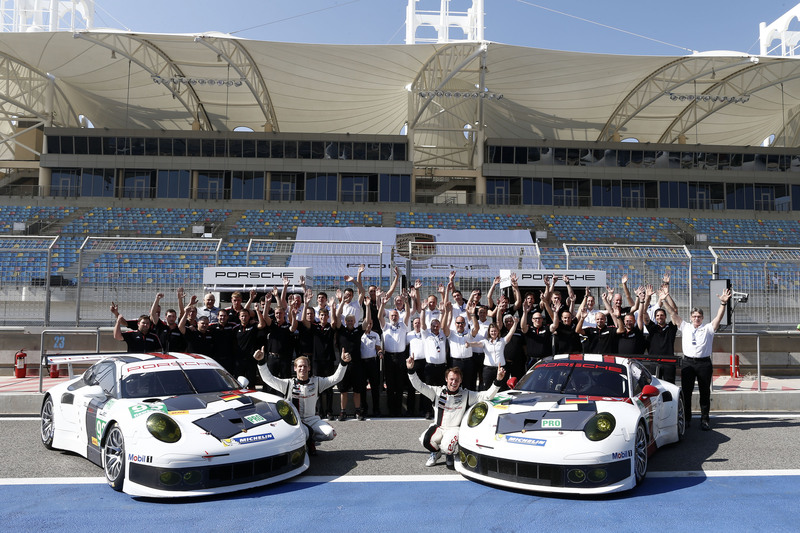 “The extension of our Development Centre is a good, far-sighted investment in the future of Porsche”, said Matthias Müller, Chairman of the Board of Management of Porsche AG. 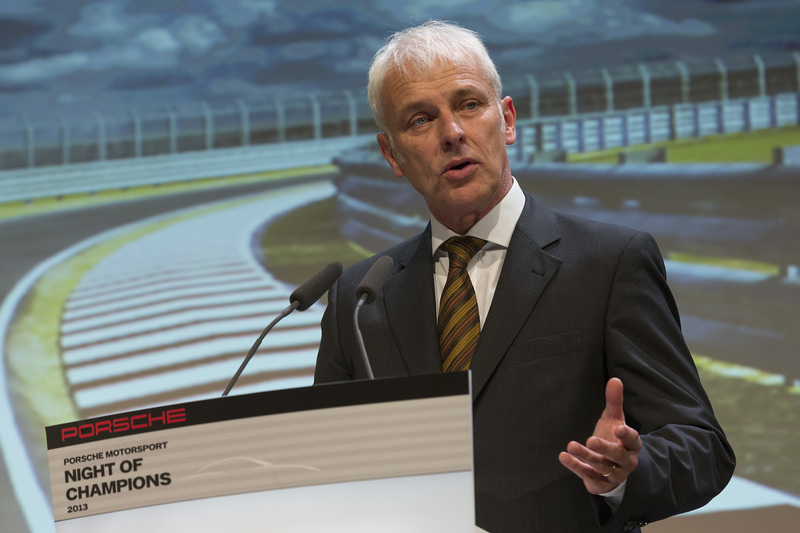 “The expansion being made by Porsche in Weissach also represents a clear commitment to Baden-Württemberg as an industrial location. 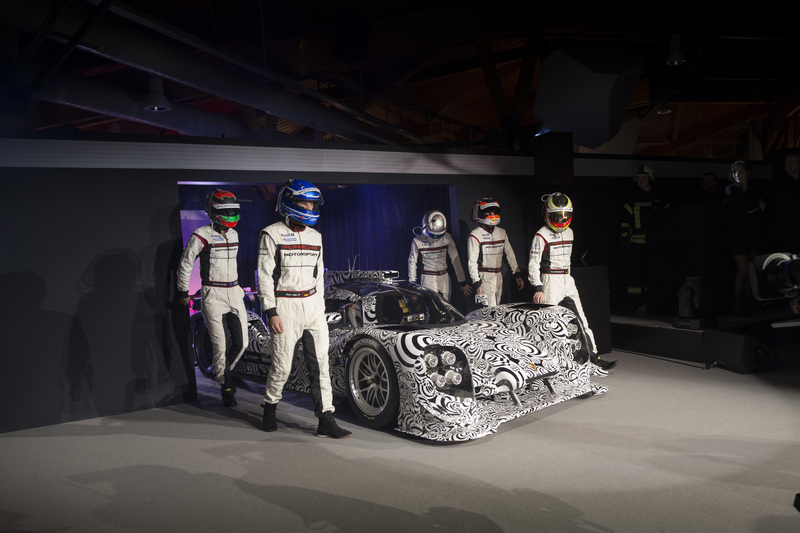 The new wind tunnel will also enable the Stuttgart-based sports car manufacturer to cope with technological challenges in vehicle development in future. 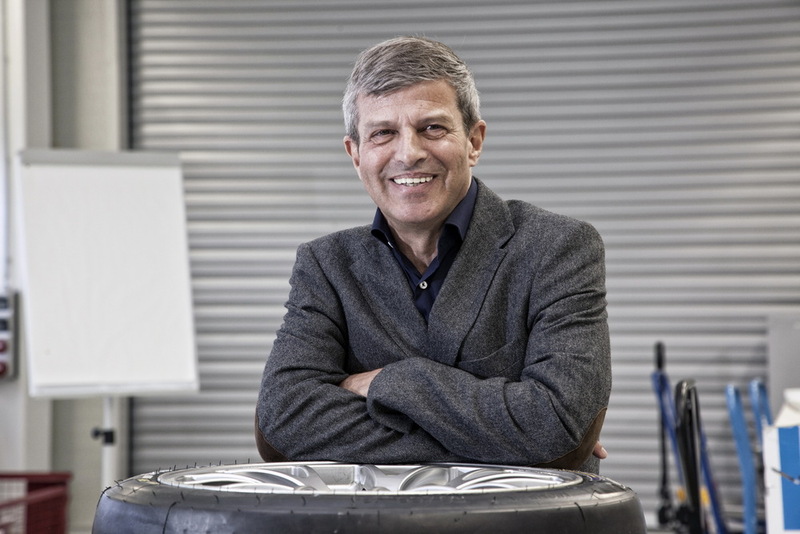 “Good aerodynamics make a major contribution towards low fuel consumption and high performance – both of which are important aspects in implementing Porsche Intelligent Performance”, said Wolfgang Hatz, Board member in charge of Research and Development of Porsche AG. The new electronics integration centre will combine segments which were previously spread over several buildings. 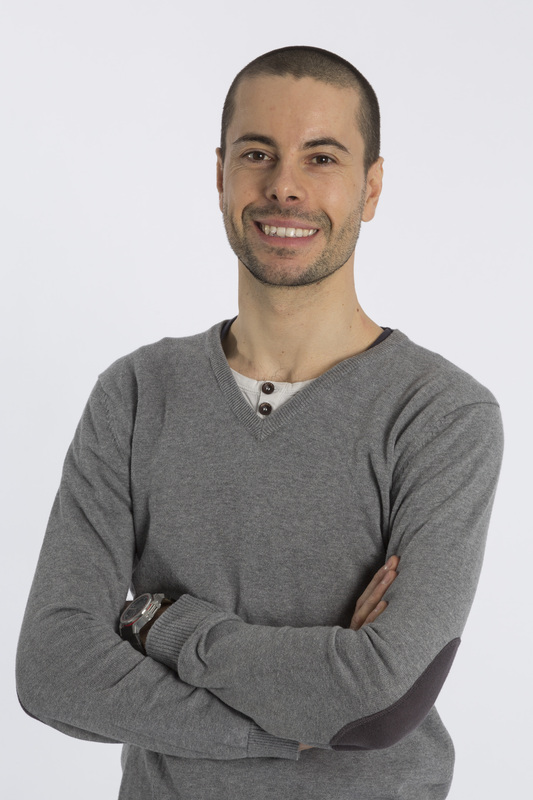 “Our objective is also to continue developing electric and hybrid technology. 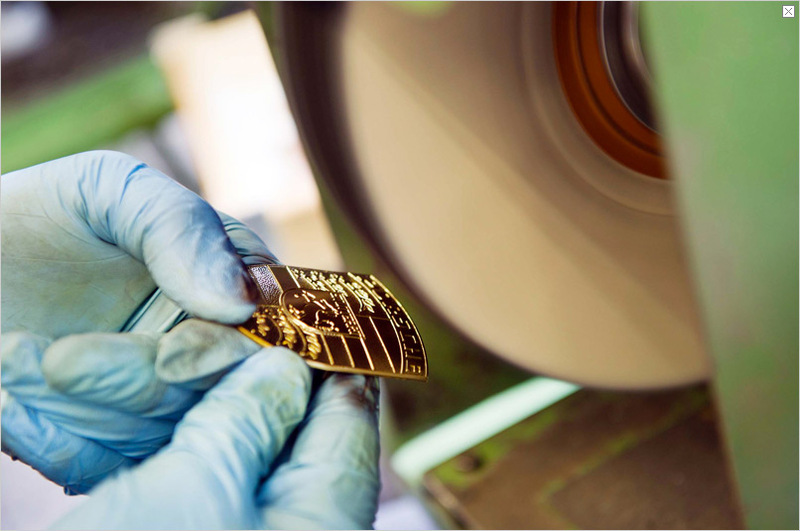 We are creating the ideal conditions for attaining this objective with our new electronics integration centre”, added Hatz. 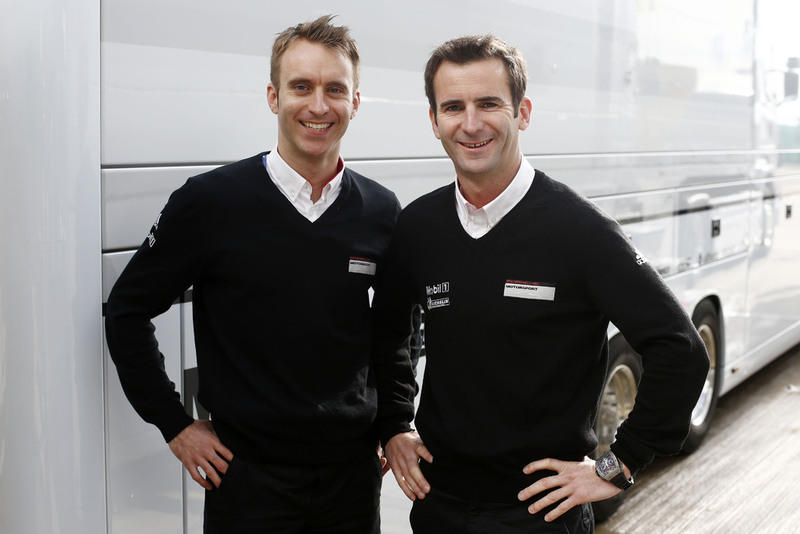 In addition to the extension of the site, Porsche is starting a wide-ranging human resources campaign. 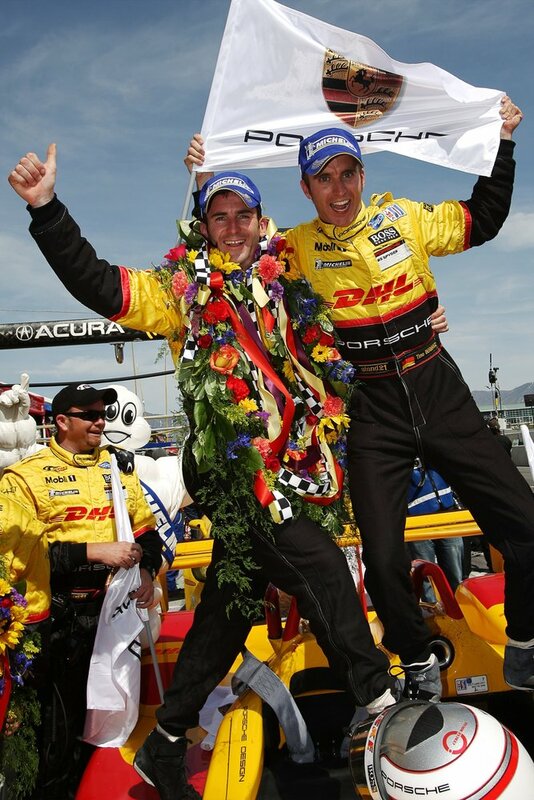 In the first six months of 2011, the company recruited well over 100 new engineers. Over 100 new employees will also be appointed by the end of 2011 in order to support the around 3,400 staff currently working in Weissach. The new offices and the design studio will probably be ready for occupation in summer 2013. The wind tunnel will be completed in the first six months of 2014.